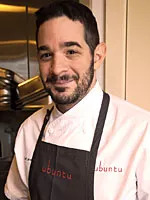 The new Napa restaurant and yoga studio called Ubuntu (that’s Zulu for “humanity toward others”) delivers the ultimate in farm-to-table cuisine. The restaurant’s menu—from chef Jeremy Fox and his wife, pastry chef Deanie—is harvested from the biodynamic-organic garden just down the road. Here, the green chef shares a great idea for a fresh-picked first course. 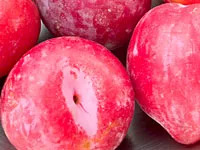 Thinly slice pluots (a cross between a plum and an apricot) and arrange them on a plate. Add blanched green beans, and drizzle with a basil pesto.